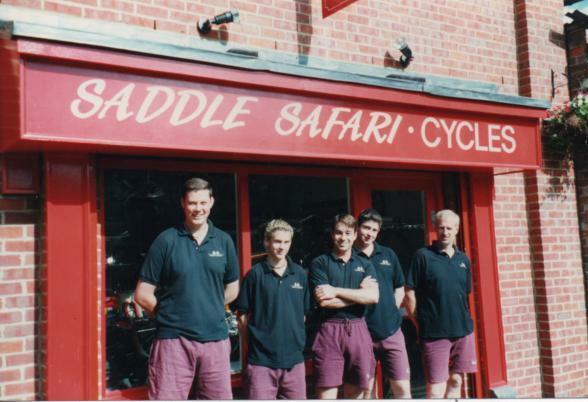 Many people may not realize that Saddle Safari originally opened in 1993 as a small cycle hire business. Back then the focus was set purely on offering tourists and locals a simple and fun way of seeing this beautiful part of the world. 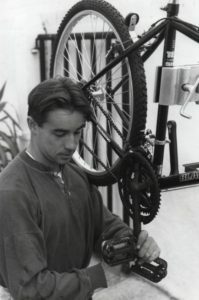 Owner Andrew back in 1993. A young man with big plans! With a modest budget and a lot of enthusiasm we took on Marlows ‘Old Slaughter House’ that had only stopped its business 6 months previously. Some original customers may even remember the shop in its original state with meat hooks hanging from the rafters. It came complete with a leaky roof and resident rats! An Inside view of the shop complete with hanging meat hooks! 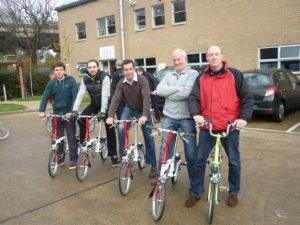 Not long after, a friendly regular client showed interest in purchasing a pair of bikes. This subsequently proved to be a critical turning point in the direction of the business. 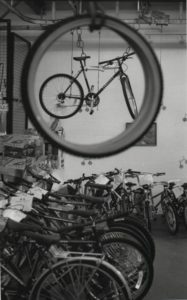 Gradually we evolved into a traditional bike shop improving the shop with a window and ultimately the luxury of toilets and heating! As demand grew so did the need for staff . Sam was our first employee in 1994 followed by Mike in 1997. Dan, Mark and Bryn followed afterwards,Most of whom are still with us having at least 10 years of service. Our greatest asset is the experienced staff that we have managed to retain giving Saddle Safari a broader range of experience and expertise than almost any shop in the country. We are also a unique shop in that we have 4 members of staff qualified to Cyctech level 3, which is the top level of mechanical qualification in the country. 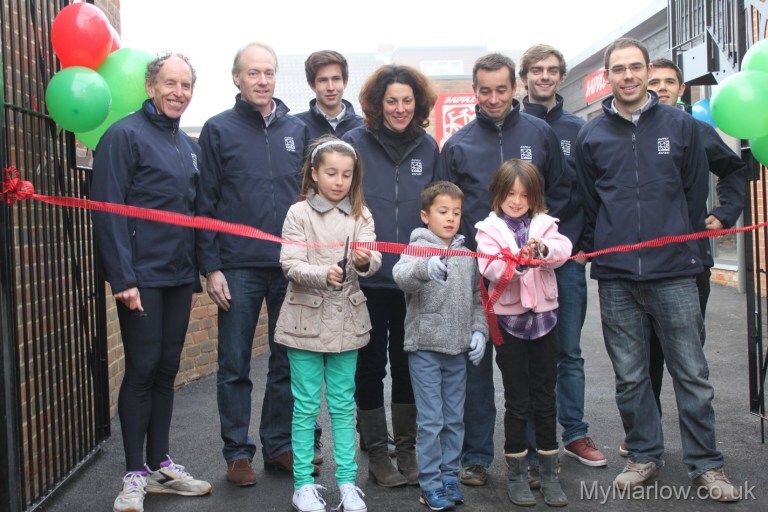 As cycling has become increasingly popular we took the opportunity in 2012 to move location and expand the shop. 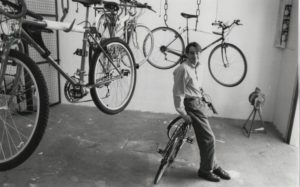 We now enjoy a purpose built cycle shop on dean street around the corner from the old premises but with three times the space. The new shop benefits from a large professional workshop, a fantastic range of clothing and changing rooms and a bike fit area, all of these things allow us to offer a wider range of products and services however customer service is still the lynch pin of our shop and we look forward to greeting you soon.